There are currently four million volunteer computers searching for new pulsars for the Einstein@Home. This sleepy distributed team has so far collectively processed over 1 petaflops. 46 individual pulsars have been discovered this way. Dr Ad Emmen (AlmereGrid) introduced a session yesterday, 'Getting citizens scientist on your team'. Ad roughly calculated that in Greater Manchester alone there could be over 2.5 million computer sitting idly. It is now estimated that there could up anyway up to 2 billion computers worldwide. The potential growth of this computing capacity is enormous. One project, International Desktop Grid Federation (IDGF), has been harnessing this processing power. 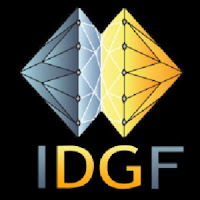 IDGF brings together those interested in desktop grids including 50 different desktop grids, 50 member orgnisations, and over 240 individual members. As an IDGF member, institutes have access to high level science gateways with a host of applications for end users. There is also certification support, a roadmap for guiding the management of desktop grids for administrators, plus a vimeo training channel and a technical wiki. In June 2012, the monthly performance of the desktop grid virtual organisation (VO) in the EGI portal was an impressive 1,051,051 CPU hours. It basically held the 10th spot for a while. However, this number fluctuates and IDGF have ambitions to capture more processing power for scientific research. By contrast, the ATLAS experiment uses 100,000,000 CPU hours. Dr Robert Lovas from MTA SZTAKI introduced IDGF-SP . The idea behind this support programme is to gather experiences, promote success stories and set up a coordinated campaign to boost uptake of desktop grids by institutes, universities and researchers across the globe. It also hopes to encourage the growth of a network of citizen scientists. 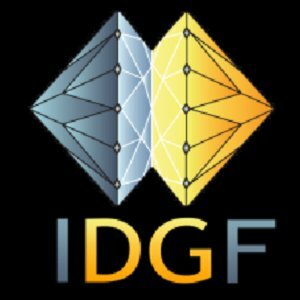 What IDGF-SP is currently looking for are ambassadors to bridge the gap between scientists and citizens. 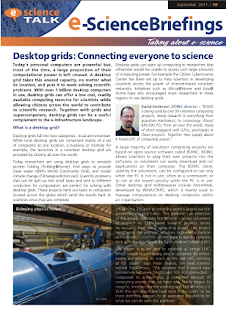 Similar to the EGI champions programme, IDGF-SP are hoping to encourage the promotion of desktop grids usage inside and outside scientific organsitions. One of their current ambassadors is Professor Stephen Winter from the University of Westminster. 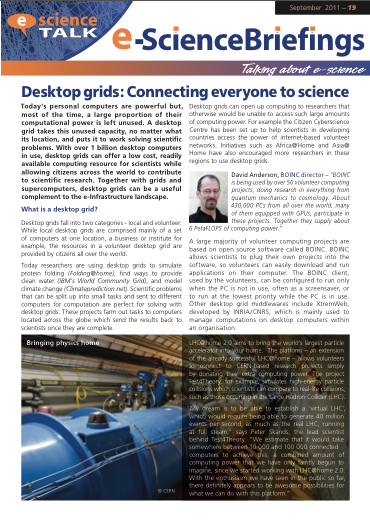 Last year, the university saved £500,000 from deploying a desktop grid (DG). The project will collect data in an application super-repository where users can see existing applications and associated metadata (i.e. attributes and implementations etc) and administrators have access to SZDG technical wiki (a consolidated knowledge base for DG related technologies). Check out our educational website, Volunteer Garage (www.volunteer-garage.org).